I think we would all agree, science teaching is hard, but why?! What exactly is it that makes science so difficult to teach? One of the significant challenges of science teaching, as opposed to other subjects, is that we are trying not just to get students to learn new knowledge, we are also asking them to unlearn many of their existing ideas. For the most part, science teachers are having to tackle these two problems simultaneously – demolition and construction! On top of this, many of the new ideas we are teaching are abstract, cannot be seen and do not relate to pre-existing ideas. The graphic below comes form a fascinating paper by A.H. Johnstone entitled “Why is science difficult to learn? Things are seldom what they seem” and provides a useful framework for us to explore the challenges of learning science in a bit more detail. And remember, learning is a change in long-term memory. Why is learning science hard? Many scientific concepts cannot be easily experienced as there are no immediate sensory ways to get at the idea. I know what a cat is because I have seen and stroked a cat. But how do you experience natural selection or translation? Students will perceive and observe in a selective way based upon previous knowledge and expectations stored in their long term memory e.g. heavy things sink, light things float. Science is counter intuitive and this makes it hard to learn. Storage. For many topics nothing can be pulled out from long term memory to match or anchor new ideas to. Students do not have developed schemas to make sense of new science knowledge and so ‘filing’ these new ideas away in long term memory is difficult. Retrieval. Much of what is retrieved from the long term memory is in fact wrong (misconceptions), or at least not scientifically acceptable, and so provides the working memory with incompatible information to what is being observed. Ouch! 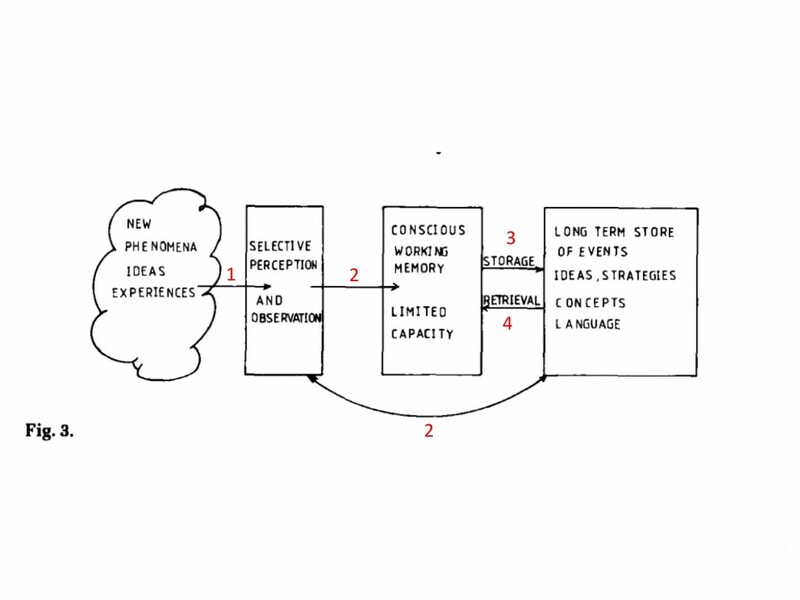 With all of the above, confusion can reign and working memory space can become overwhelmed. This is especially true if teachers jump from observation, to explanation to representation. So how can cognitive science help us? Johnstone, A.H., (1991). Why is science difficult to learn? Things are seldom what they seem. Journal of computer assisted learning, 7(2), pp.75-83.